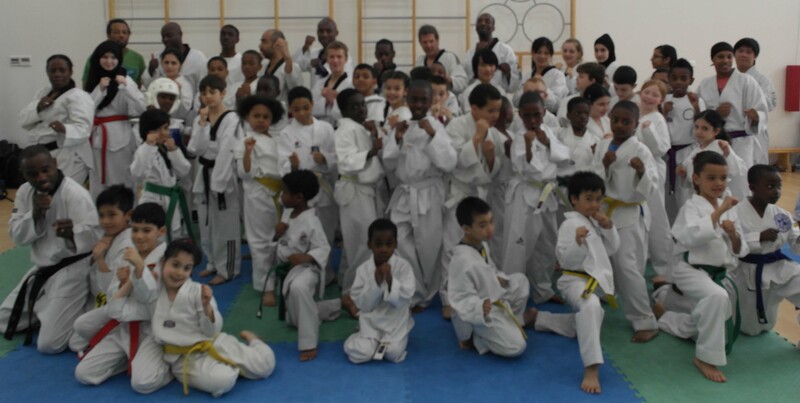 Nine months have passed since one of the local papers, the Harrow Observer took up our seemingly lost cause in helping LLTKD find a new venue after having to leave Stag Lane school after 30 years of patronage. 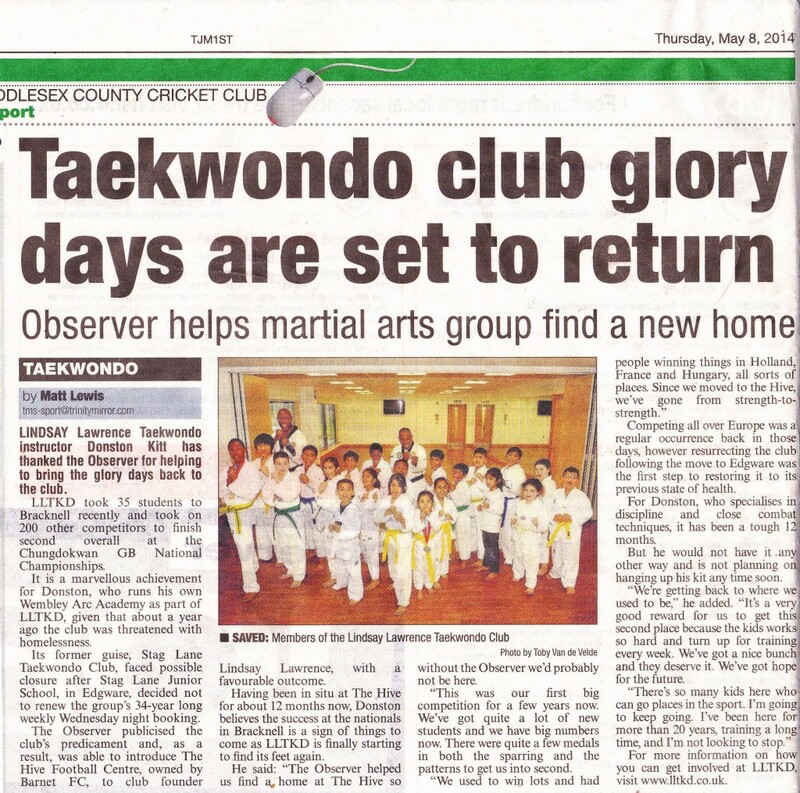 The Harrow Observer visited The Hive TKD club for a follow-up to see how the students were doing at their new venue, and it was wonderful to report how well things are going at The Hive and also to boast on LLTKD coming second overall at the Chungdokwan GB National Championships at the end of March. We look forward to reporting more successes in the future! 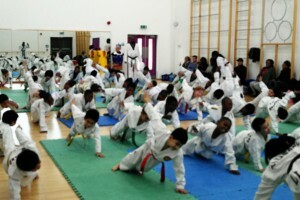 Today’s event was the second annual All Clubs training session following the success of last year’s event in Kingston. All LLTKD clubs were represented as well as students from Ditchling TKD, and more local clubs St Katherine’s and Lions TKD. It was a fabulous session and turnout and it felt like we were just getting going when we had to finish up after a day of fighting techniques before lunch and then some poomse and sparring after lunch. Huge thanks must go to all the instructors and helpers today at the All Clubs Training session especially to Master Donston for hosting the event, Master Sargeant who put the senior students through their paces and Lions TKD who cancelled their class today and brought their students to join us. 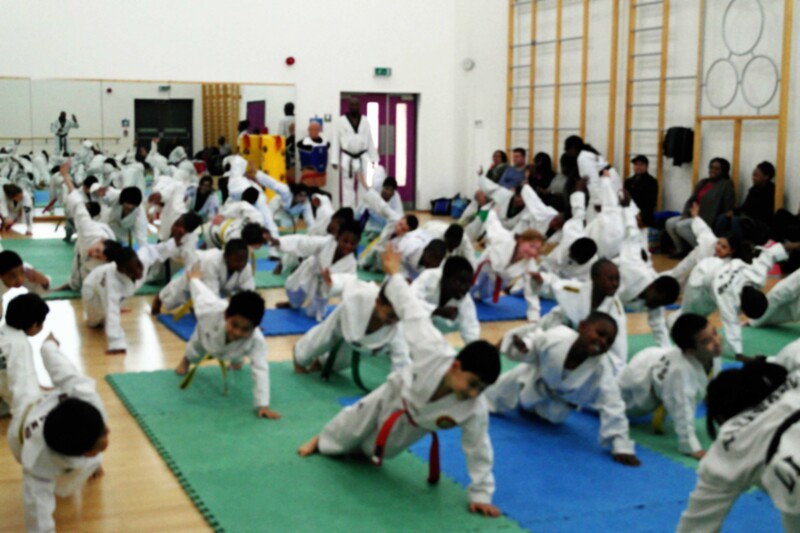 We mustn’t forget the parents who have been extremely supportive throughout the year ferrying their children to Taekwondo events all over the place. Without their support over the years, we wouldn’t be where we are today! 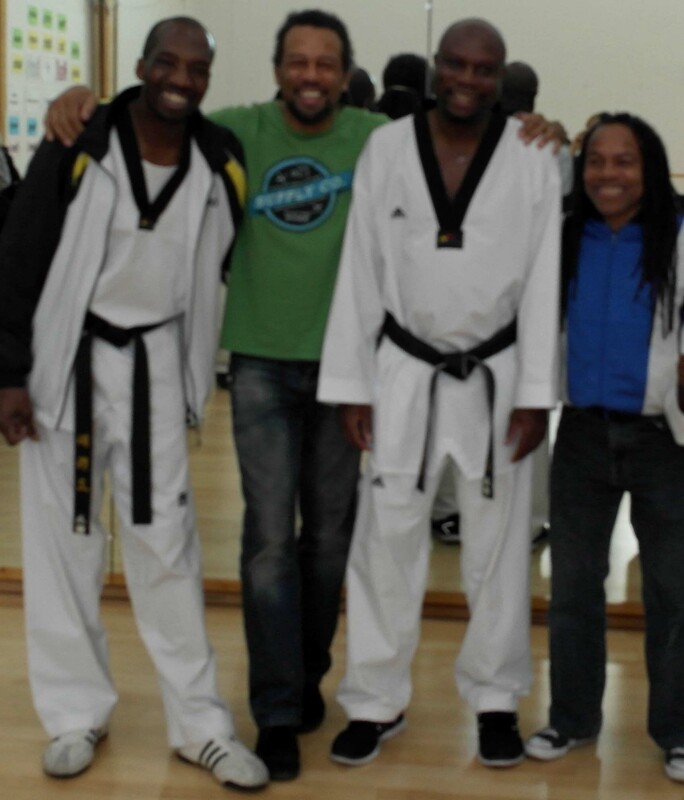 Proceeds from today’s session will go to to support the family of our friend and former Taekwondo Champion Master Chris Sawyerr following his son’s sudden unexpected illness. If anyone else who like to make a further contribution, please contact one of the instructors.